When people talk about VR, they tend to discuss the high-end stuff including Oculus Rifts and HTC Vives. These might be the best the virtual reality has to offer to the world. But Facebook has made this the new experience a bit different. Facebook with its innovative applications and features has brought VR in the range of common people. 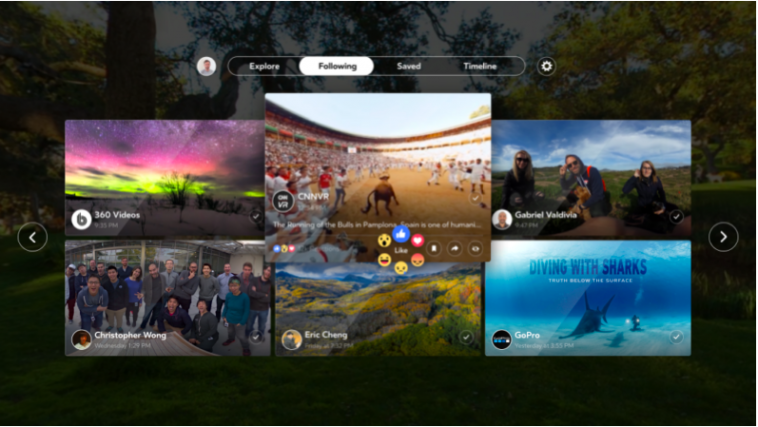 With its aim to bring virtual reality to as many people as possible, Facebook has recently launched its first dedicated application for watching 360-degree videos named as Facebook 360. With millions of photos and videos available on the platform, this app allows users to do a lot when it comes to VR. It makes it possible to check the popular content throughout the social network through Explore. The Timeline is the space for a user’s own 360 uploads. In addition, users are provided with the option of liking or reacting to a video along with sharing or saving it. But up till now, it isn’t clear whether users can view standard, 360-videos with the application. For some, it seems to create the fuss by removing the VR headset and open up the traditional Facebook app just for the purpose of watching saved videos. Users can watch the 360 video Gear VR with the help of the Oculus video app. But Facebook has placed forward a more modernized way for users to view the videos. This feature by Facebook has also brought its video content viewing to the limelight which seems to be struggling with all the other services available for this purpose. The company has recently introduced its dedicated applications for Apple TV and Amazon Fire TV but this can help Facebook to become the main source for videos. This feature is currently available on the Samsung Gear VR but the company is aiming to expand it further in future.